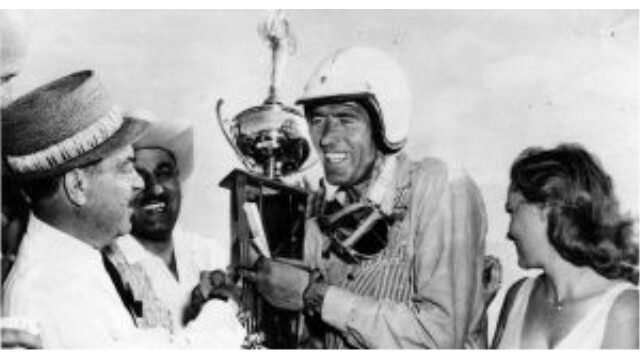 Born on January 11, 1923 in Leesburg, Texas, Carroll Shelby honed his driving skills in a Willys while attending Woodrow Wilson High School in Dallas, Texas. 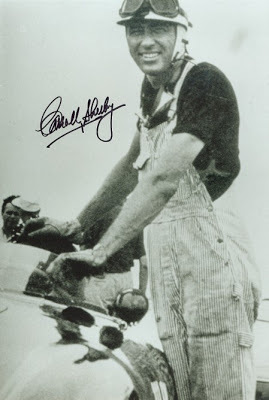 After graduating in 1940, Shelby enlisted in the United States Army Air Corps and served in World War II as a flight instructor and test pilot. 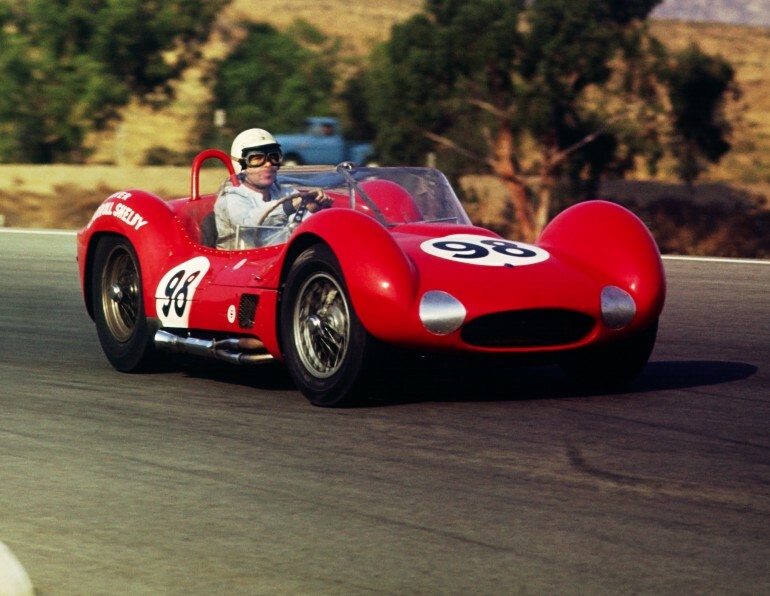 Starting out on the amateur circuits during the 1950s, he soon started driving for Cad-Allard, Aston Martin and Maserati. 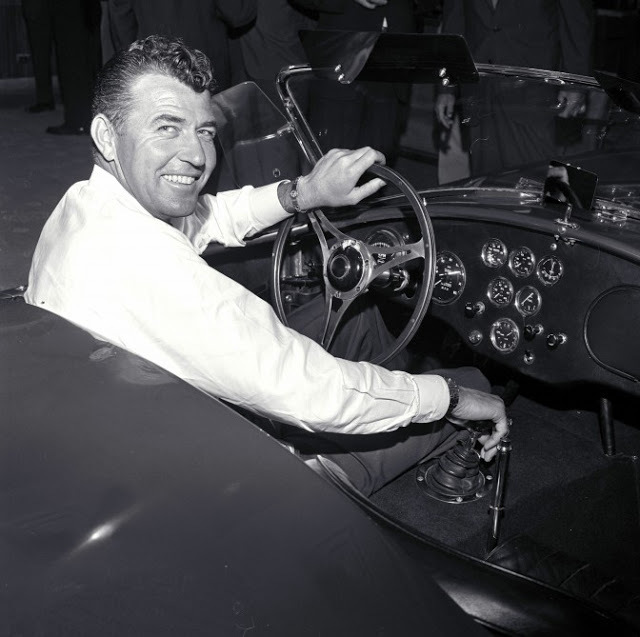 While driving for Healey in a supercharged Austin-Healey 100S, he set 16 U.S. and international speed records. 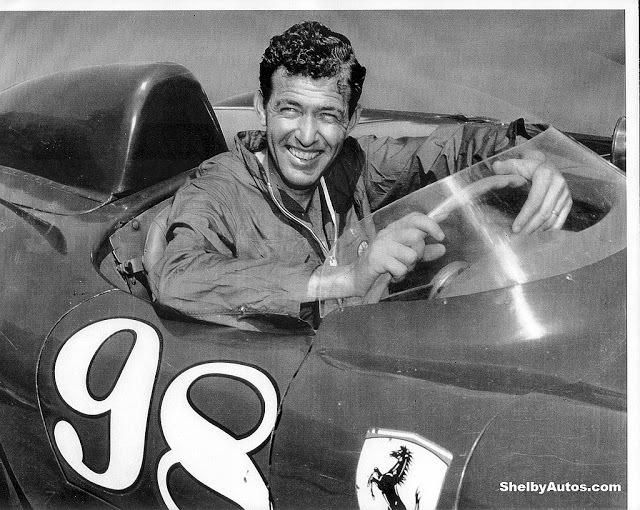 He drove in the Mount Washington Hillclimb Auto Race in a specially prepared Ferrari roadster, to a record run of 10:21.8 seconds on his way to victory in 1956. 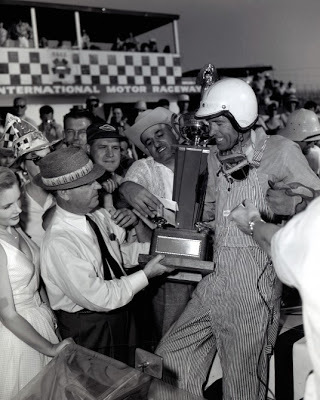 He was Sports Illustrated’s driver of the year in 1956 and 1957. From 1958 to 1959 Shelby competed in Formula One, participating in a total of eight World Championship races and several non-championship races. 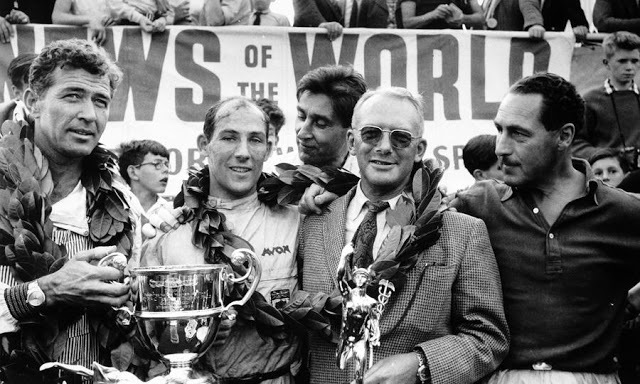 In 1959 he became the second American-born driver to win the 24 Hours of Le Mans, co-driving an Aston Martin. 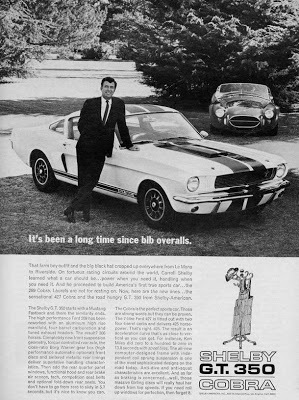 In the 1960s Shelby raised the profile of American racing machines on the international sports car circuit by packing powerful Ford V-8 engines into lightweight British roadsters as well as developing competition cars for Ford. 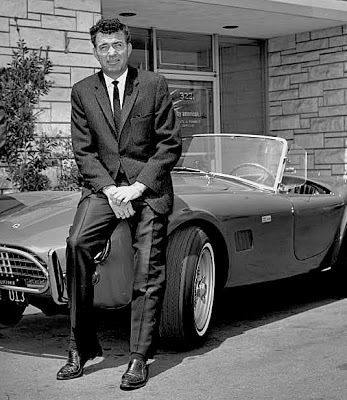 His Shelby Cobras proved themselves against the likes of Ferrari, Maserati and Jaguar: they became prized collector’s items and today can command six- and seven-figure prices (see my earlier post “Mustang“). 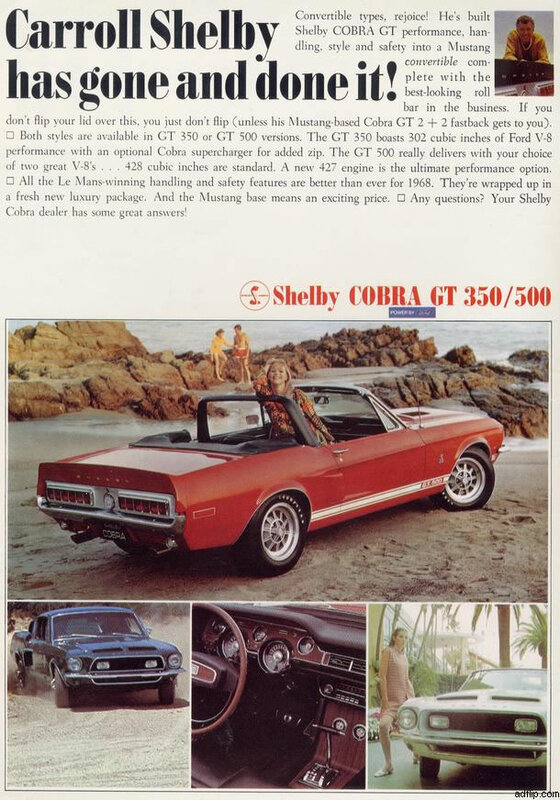 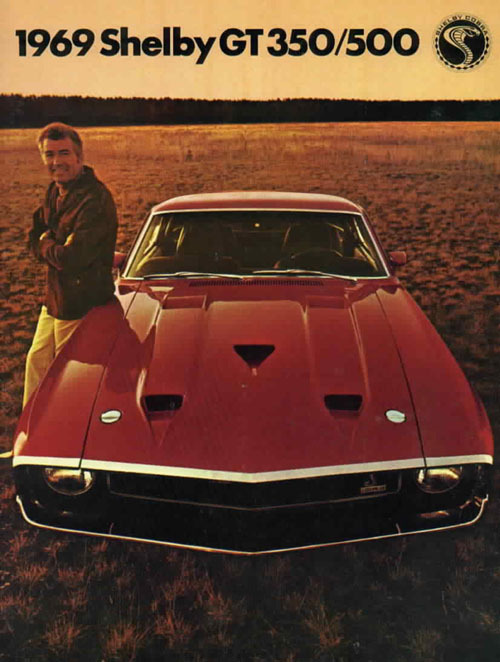 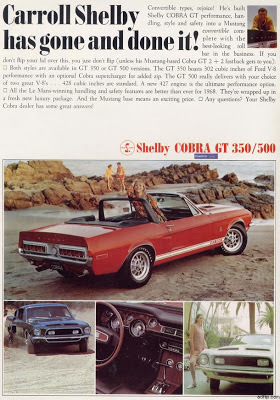 When the energy crisis of the 1970s limited the market for gas-guzzling high-performance cars, Shelby went to Africa where he operated a safari company. By the time he returned to the United States, Lee Iacocca was running Chrysler Motors and he quickly hired Shelby to design the new supercharged Viper. 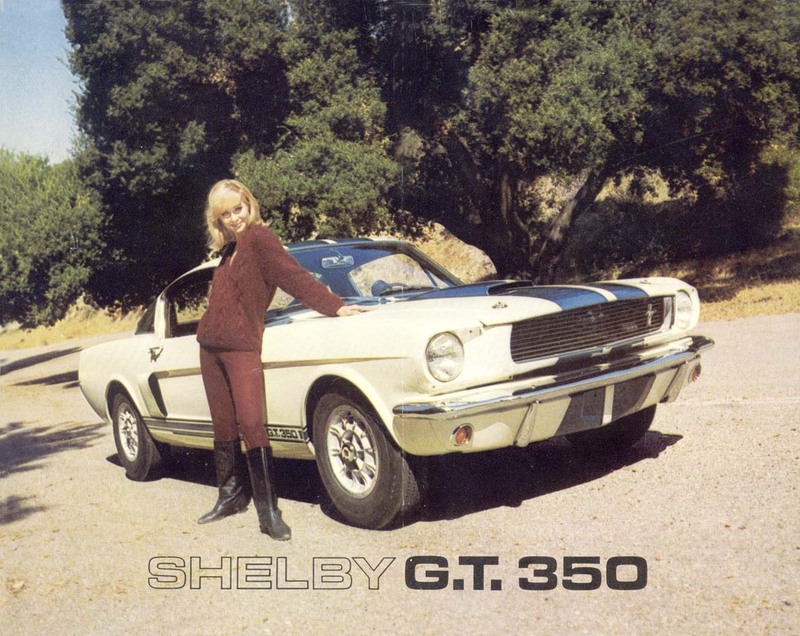 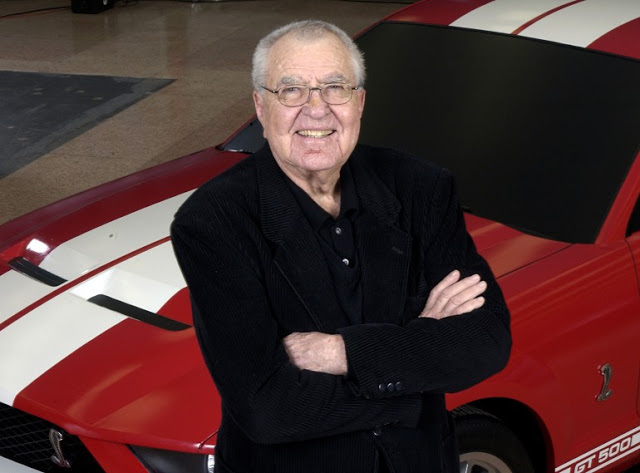 Inducted into the Automotive Hall of Fame in 1992, Shelby had worked in recent years as a technical adviser on the Ford GT project and designed the Shelby Series 1 two-seat muscle car, a 21st century clone of his 1965 Cobra. 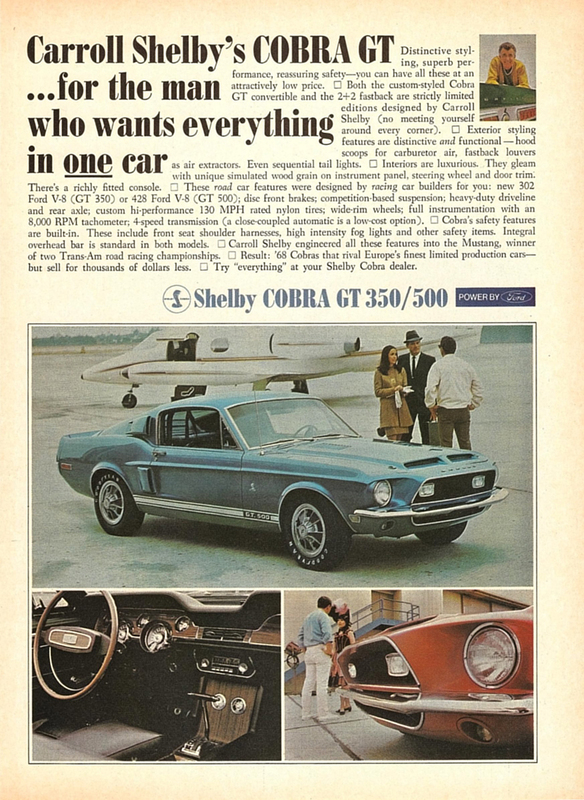 His 2013 Shelby GT500 has the most powerful production V-8 engine in the world (662 hp.) 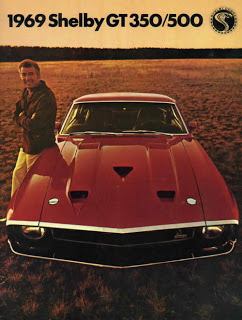 and a top end of more than 200 miles per hour. It is arriving in dealerships now. 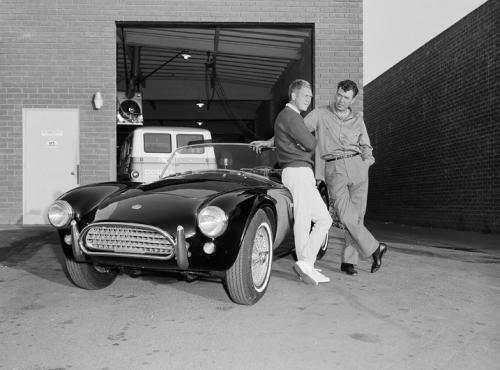 The car that Shelby test drove recently sold for $350,000 at a charity auction. 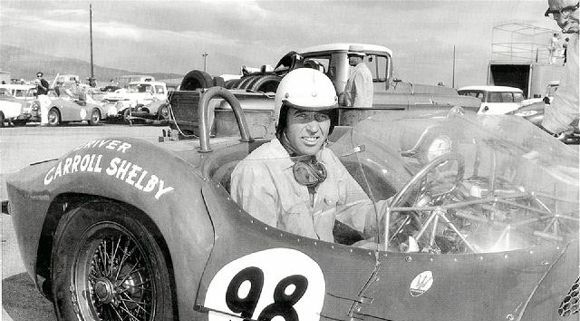 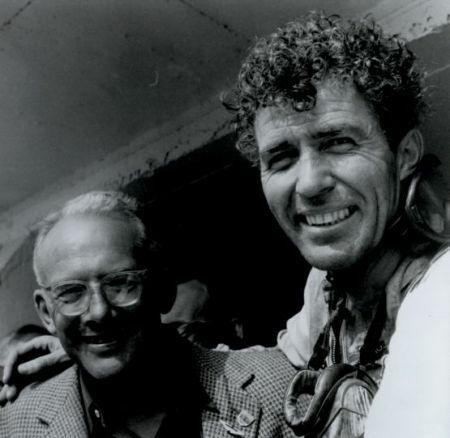 Carroll Shelby died on May 11, 2012 at the age of 89. 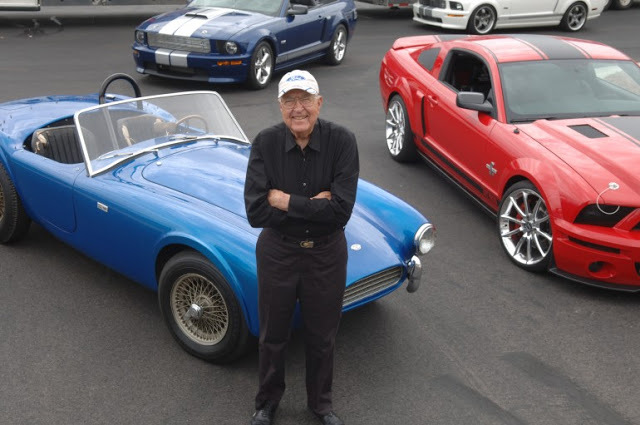 LOS ANGELES – May 11, 2012 – Carroll Shelby International, Inc., (OTC: CSBI.PK) announced today that Carroll Hall Shelby, a man whose vision for performance transformed the automobile industry, has died at age 89. 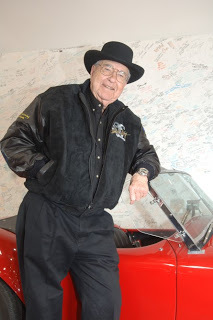 Mr. Shelby passed away yesterday at Baylor Hospital in Dallas. 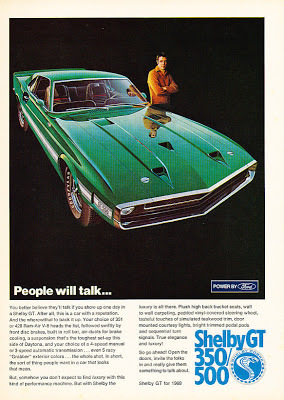 The cause of death was not disclosed. 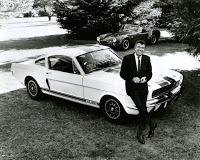 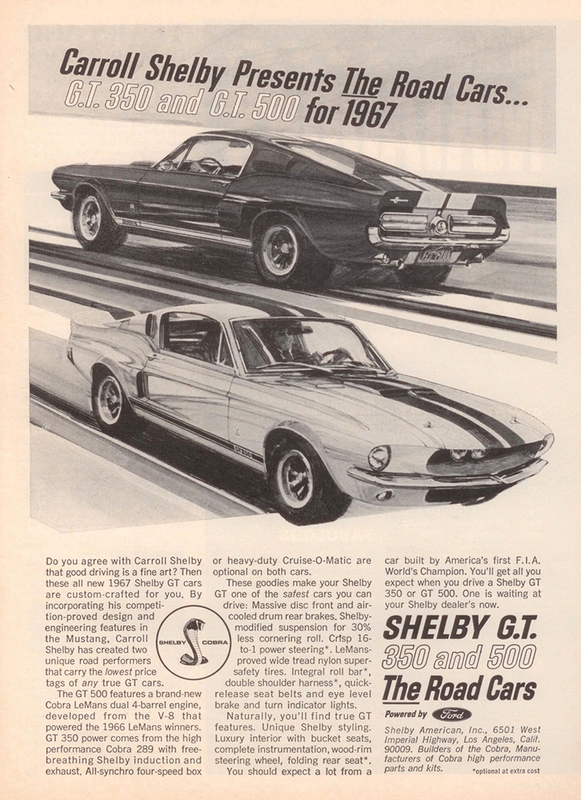 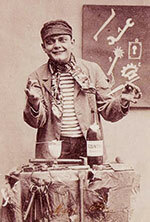 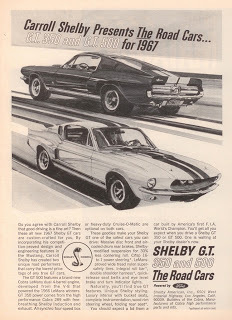 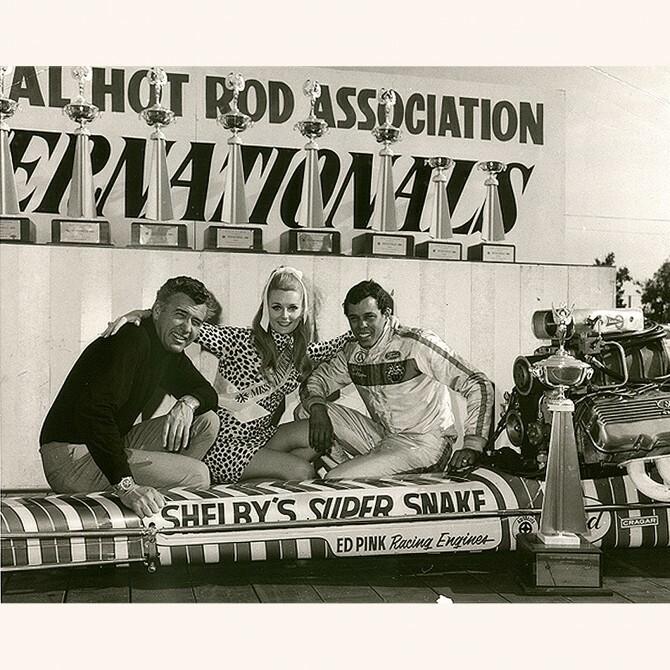 Shelby considered his greatest achievement to be the establishment of the Carroll Shelby Foundation(tm). Created in 1992 while Shelby was waiting for a heart transplant, the charity is dedicated to providing medical assistance for those in need, including children, educational opportunities for young people through automotive and other training programs and benefiting the Carroll Shelby Automotive Foundation. Shelby is survived by his three children Patrick, Michael and Sharon; his sister Anne Shelby Ellison of Fort Worth and his wife Cleo. 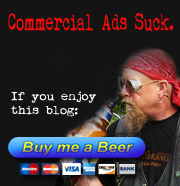 Funeral plans are not currently available. Donations to the Carroll Shelby Foundation are encouraged in lieu of flowers. 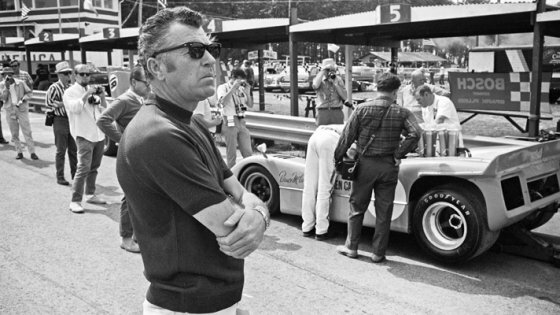 Information about the Carroll Shelby Foundation is available at www.carrollshelbyfoundation.org.